Two ecumenical services and a street fair will celebrate the work of the TRC this weekend. While Ottawa will be the major focal point for truth, reconciliation and First Nations issues this Sunday, activities around a downtown Vancouver intersection will raise awareness regarding those issues on the west coast. The Truth and Reconciliation Commission (TRC) will complete its six-year mandate and deliver a final report during ceremonies and events scheduled for May 31 – June 3 in Ottawa. Residential schools wreaked havoc for close to a century in the lives of First Nations families across Canada – under the aegis of the Canadian government, and with full participation by several Christian denominations. 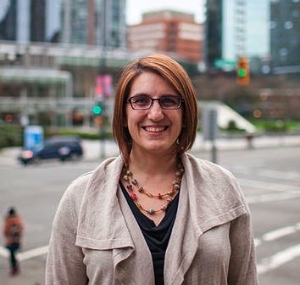 In Vancouver, Reconciliation Matters will take place at Nelson and Burrard. There, two of the city’s largest churches are poised to bring themes of truth and reconciliation to bear in a series of ecumenical services and celebrations. Across the street at the Wall Centre, between morning and afternoon services, a street fair will provide further celebration and information for thousands of First Nations and others who will be converging on the area. The two churches, First Baptist and St. Andrew’s-Wesley United are, with the participation of several other congregations, modifying their usual Sunday worship schedules to bring focus to the TRC’s work. Andrea Tisher has worked on the liturgy for the event at First Baptist Church. Logistics have provided both challenges and opportunities in the arranging of the church services, according to Andrea Tisher, First Baptist’s worship arts director. She has had the responsibility of working up the liturgy for the 2:30 pm ecumenical prayer service being hosted by the church. Tisher said neither church would be able to accommodate the full crowd expected, so the Baptists will hold their usual two services at 9 and 11 am. In the pulpit will be Terry LeBlanc (see accompanying story), invited by the church’s senior pastor, Darrell Johnson. On May 31st, we will be connecting with Canadians across our land as we anticipate the reading of the Report of the Truth and Reconciliation Commission, established to help our country to deal with the residential school tragedy of the last century. In cities all over the country, believers will be gathering together for prayer for our First Nations friends. The clergy of the downtown churches have been meeting and, as a result of those meetings, we are going to hold “An Ecumenical Service of Prayer for Reconciliation and Healing” . . . This promises to be a memorable day as we pray with believers from other churches of our city. Dean Peter Elliott of Christ Church Cathedral played a major part in organizing Reconciliation Matters. Johnson himself will spend some time across the street at the St. Andrew’s-Wesley service, to provide a Baptist presence and to fellowship with some of the community’s pastors with whom he has worked on the TRC issue in recent months. 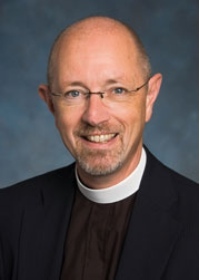 Peter Elliott, dean of Christ Church Cathedral, down the street at Burrard and Georgia, was instrumental in pulling Reconciliation Matters together. He will also participate in the service, as will David Koop, senior pastor at Coastal Church. “St. James’ Anglican Church invites the Downtown Eastside community to join us in ringing the church bell to honour the missing and murdered indigenous women and girls. Sherbrooke Mennonite Church and The Mosaic Church will host All My Relations Festival (at Sherbrooke in south Vancouver) for “National Aboriginal Day celebration and healing relationships with Indigenous people.” Following a welcome by Henry Charles of the Musqueam people, political officials, speakers and musicians will make presentations; the afternoon will end with a meal.